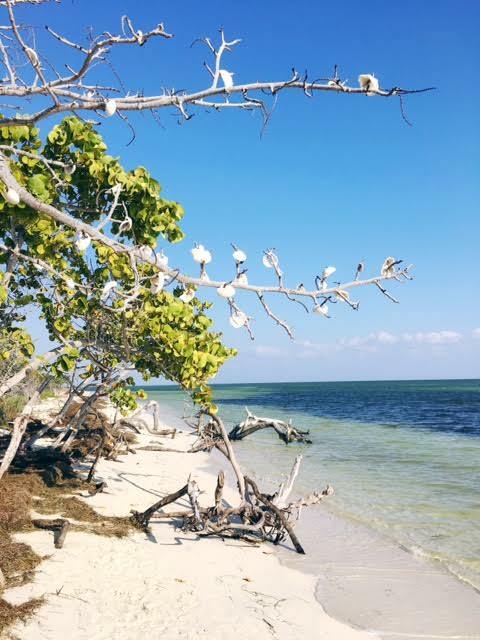 A Beach Lover: 5 Things To Do In The Florida Keys! The ride from Miami Airport to Key West can be horribly boring. 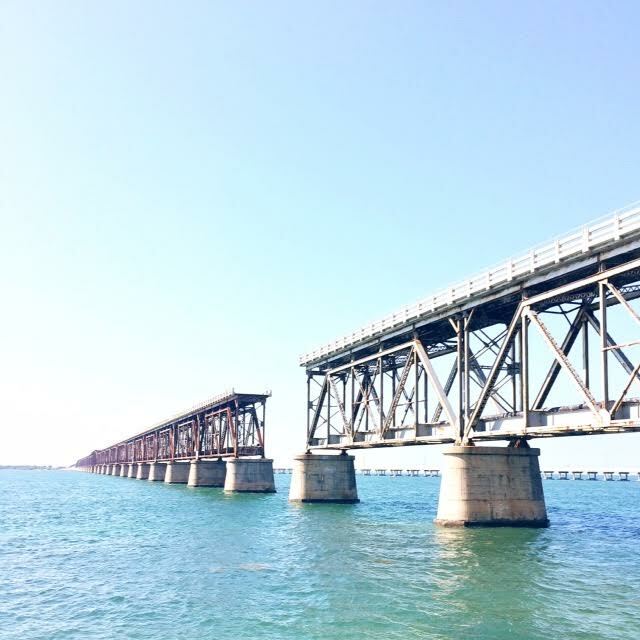 Unless your rolling in the dough and can fly directly into Key West, chances are that if you're visiting the Keys you will be stuck in a car for 3+ hours to get to Mile Marker 0. 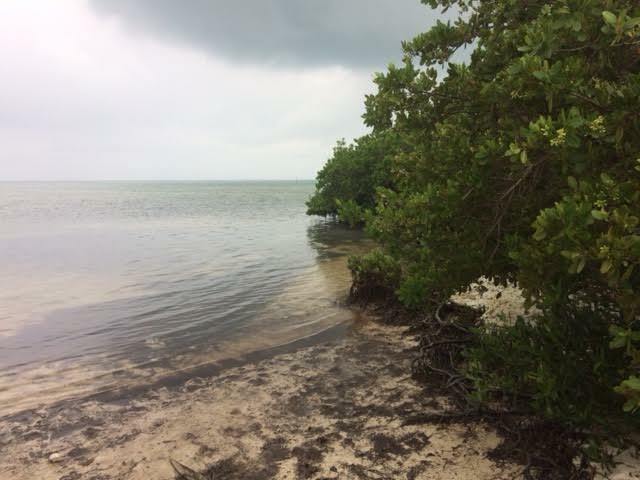 My husband and I are fortunate enough to have family in the Islamorada area, so we get to visit and explore as often as we want (or as often as our budget allows us to...). 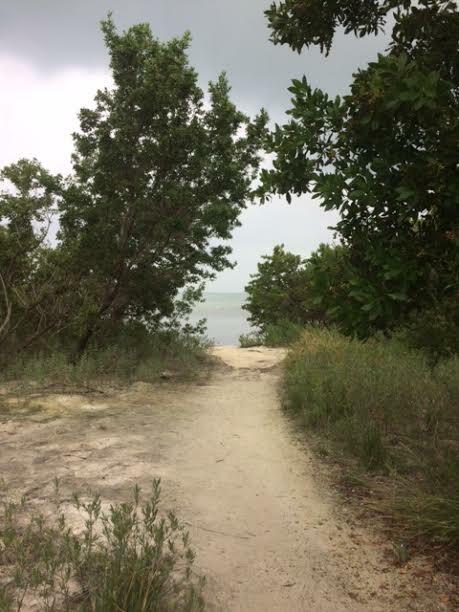 If you've never been to the Florida Keys, there is legit one road in and one road out. 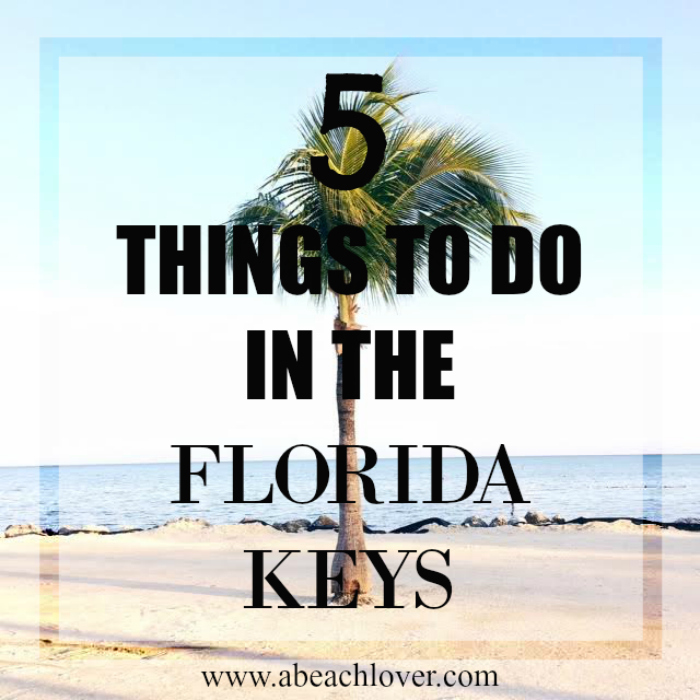 Almost everything on the way down to the Florida Keys is hidden (at least all the good spots anyways), so it's a good idea to have a plan with stops along the way to your destination! That being said, if you are ever in the Islamorada/Marathon area on the way to the Keys, be sure to stop at some of my favorite stops below! 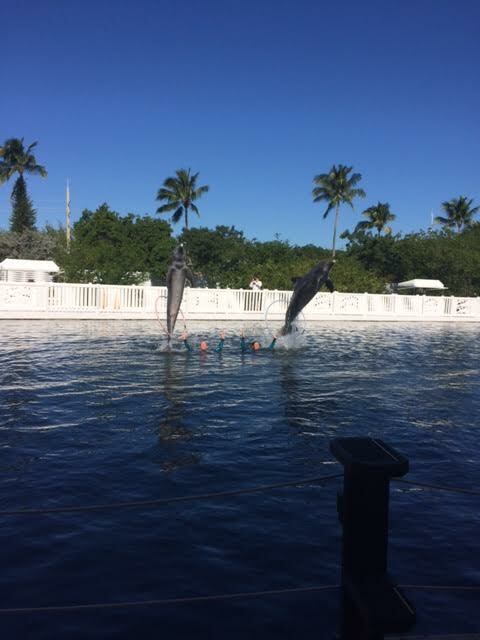 Have you always wanted to swim with Dolphins!? Well, at Theater of the Sea (Mile Marker 84) you can do just that and also see some other really neat animal shows too! 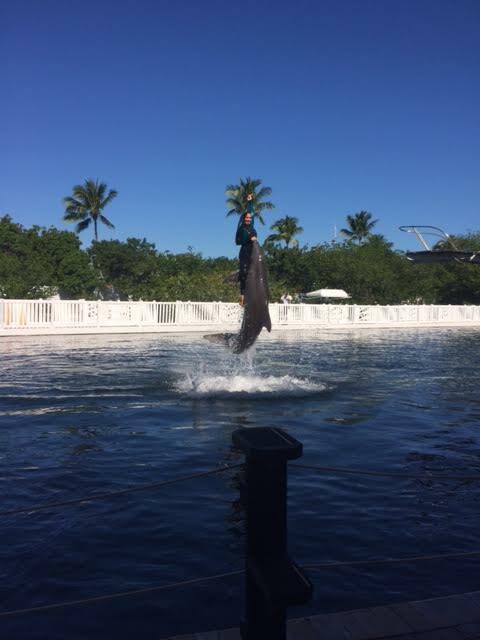 Theater of the Sea has a general admission fee and once your inside, you will see a TON of animal shows that include sea turtles, dolphins, parrots & sea lions! The shows are all timed, so can see them all! 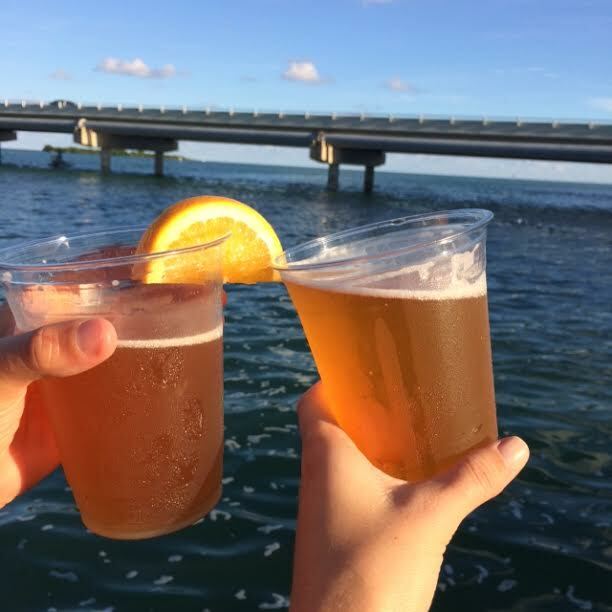 Located at Mile Marker 77, Make sure you stop by Robbie's in Islamorada for a beer and to feed the Tarpon- You will not regret it! 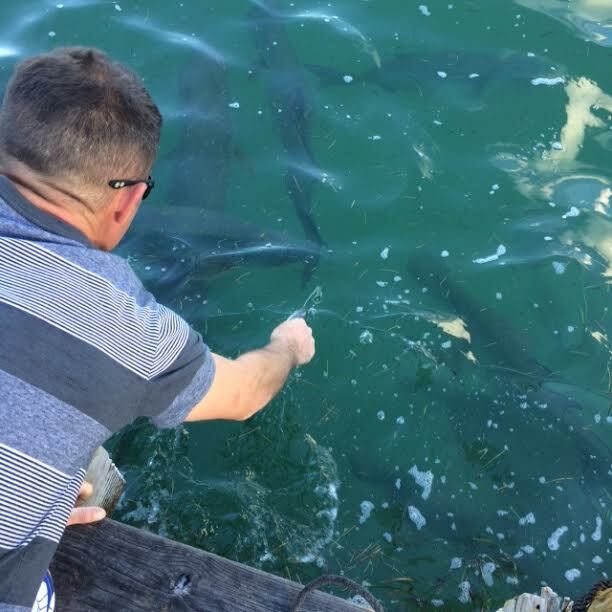 For like $6 you can buy a bucket of fish and feed the Tarpon right off the dock (watch your arm)! 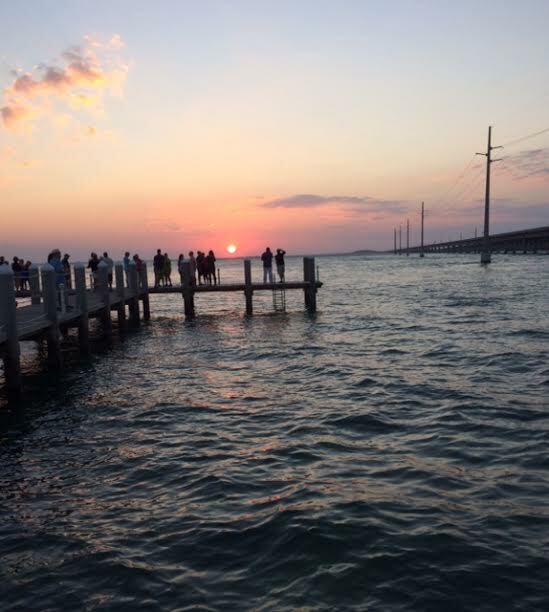 At Robbie's, they also have kayak rentals, live music, food and an outdoor shopping market. 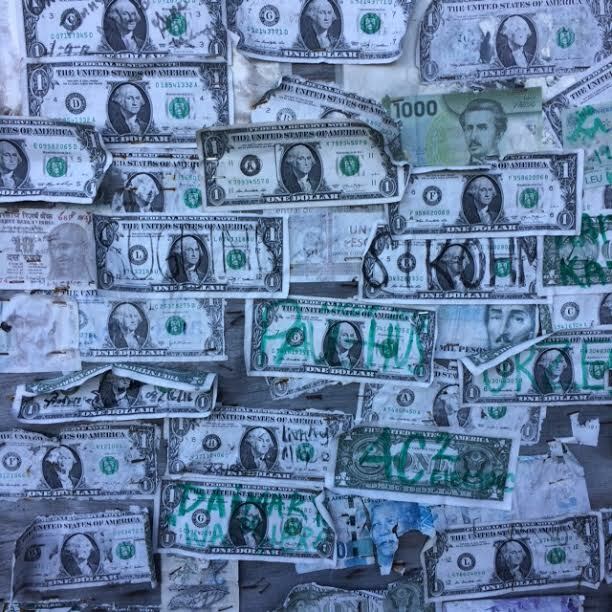 Don't forget to put a $1 on the wall while you're there! 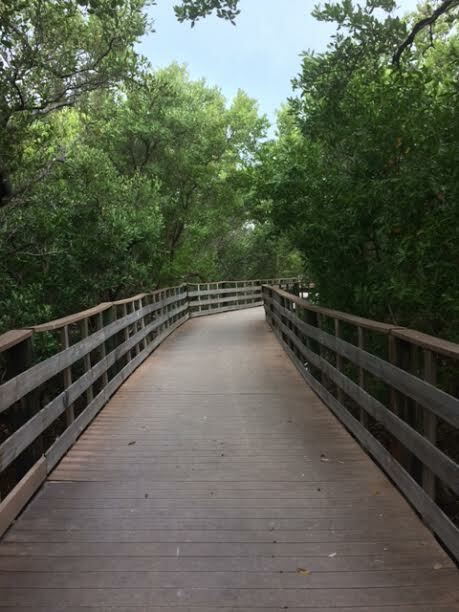 Located at Mile Marker 73, you can stop and stretch your legs and enjoy this small nature-esque boardwalk and beach! 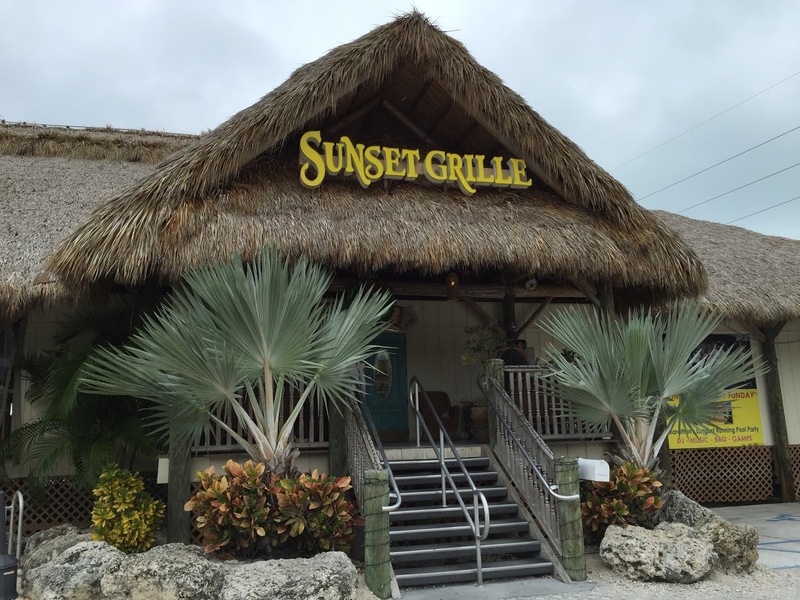 Make sure you stop at The Sunset Grille at Mile Marker 47 to catch the Sunset! 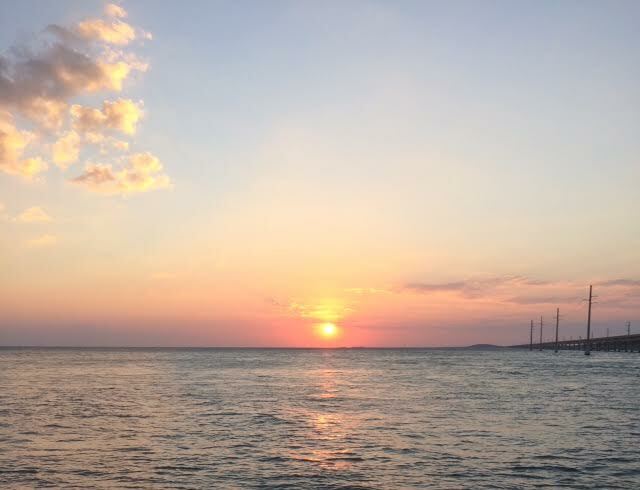 The food is delicious and the view of the Sunset is seriously amazing. Everyone I was with was raving about the sushi too. They also have a pool there that you can swim in too! 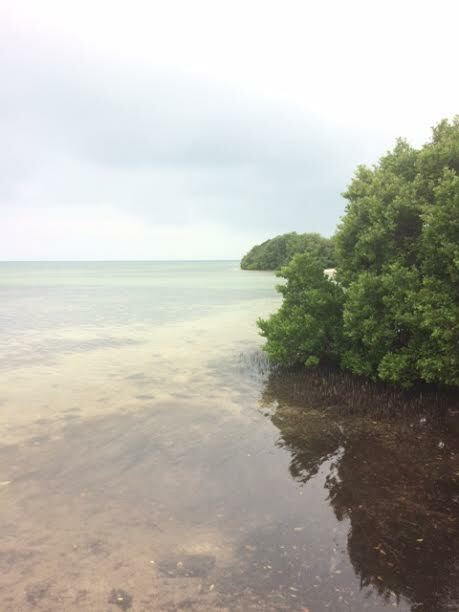 Bahia Honda State Park is at Mile Marker 37 and is absolutely gorgeous. This was probably one of my favorite stops! 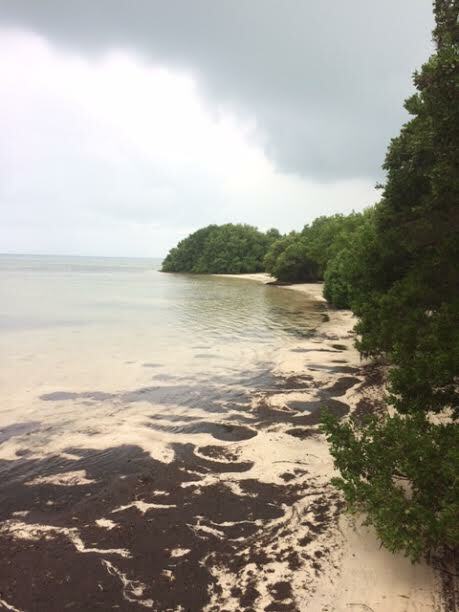 For a small fee (around $5 pp) you can enter the park and see amazing views and explore the beaches. 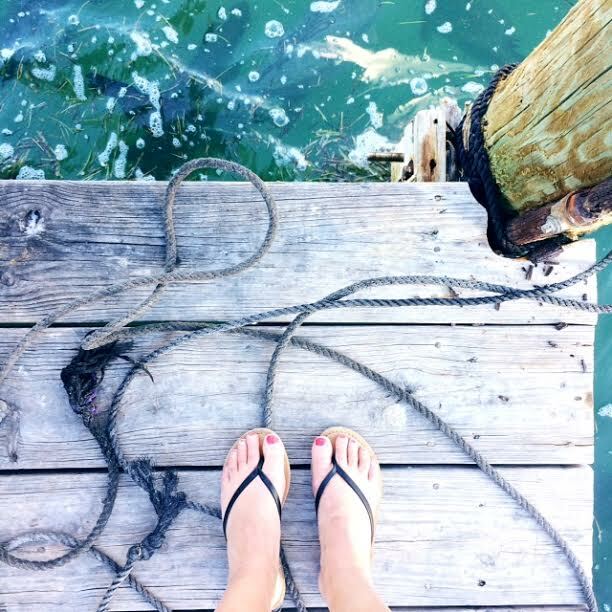 Have you ever explored the Florida Key's!? 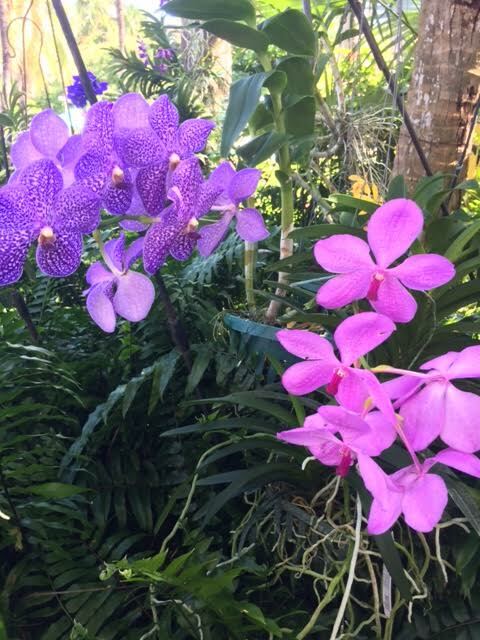 I would love to hear your recommendations for the next time I visit!